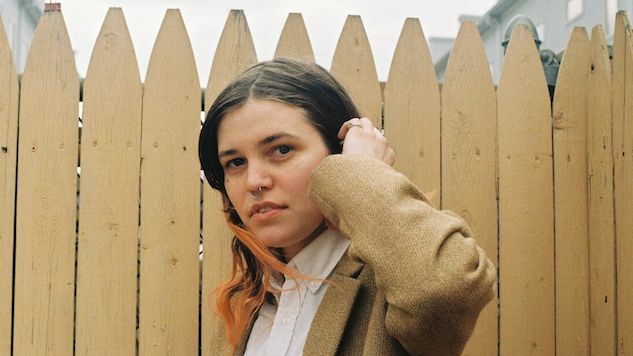 Yowler is the solo project of Philadelphia-based musician Maryn Jones, who is set to release her second LP, Black Dog In My Path, on Oct. 12 via Double Double Whammy. After sharing the album’s previous single, “WTFK,” Jones has shared another new track, “Angel.” Despite the song’s gorgeous intimacy, there’s an underlying feeling of uncertainty. Jones is in awe of others around her, but is confused about the extent of her feelings towards them and what form those relationships take. Her angelic lyrical metaphor goes hand in hand with her divine folk-pop vocals, and the earnest acoustic guitar and piano backdrop works wonders. Her vocals may be delicate and pretty, but the sheer emotional force she’s capable of conjuring up shouldn’t be underestimated. Jones has been releasing music online and on CD, tape and vinyl since 2004. She recently wrote songs for the loud-pop band All Dogs and she was also a long-time member of the psych-folk group Saintseneca. Since then, Jones has shifted her focus to Yowler’s new record, which she recorded with producer and musician Kyle Gilbride of Swearin’. The album is largely informed by her years of touring, as well as relationships that have come and gone, and a much-needed inventory of her emotional state. Listen to “Angel” below and check out Yowler’s tour dates further down. You can preorder Black Dog In My Path here.